Brazilian Football Confederation (CBF) president Jose Marin insists the next coach of the national team will be Brazilian, dismissing former Barcelona manager Pep Guardiola as a potential replacement for Mano Menezes. Barely a day goes by without Guardiola being linked with one club or another and following the firing of Mano Menezes there was speculation that he could be a candidate to become the next coach of Brazil. However, Marin has realised that with Brazil set to host the World Cup finals in 2014, now is probably not the best time to toy with the idea of appointing a foreign coach. “I find it hard [to believe] that Brazil’s next coach will be a foreign,” he told Terra. “I have the greatest respect for Guardiola, but Brazil has won all of its five World Cups with Brazilian coaches. “I haven’t talked to any [possible coaches] yet. I’m waiting for the end of Brasileirao. A decision might be made in January, in which case I will talk to reporters in a press conference and announce the new coach. Meanwhile, CBF director Andres Sanchez believes that former Chelsea manager Luiz Felipe Scolari will take the job. “I haven’t spoken with the president [Marin] yet, but there’s a possibility that I’ll leave [the board],” he said. “As far as I know, Felipao has agreed terms. I know from credible sources that this happened. Italian police have confirmed the arrest of Serbian Almir Gegic, who has been wanted since June 2011 for alleged involvement in match-fixing. He turned himself in after more than a year on the run. “The magistrates have done a great job. They’ve uncovered all of the fixed matches – at least the ones I bet on,” Gegic told the Gazzetta dello Sport in an interview before leaving Serbia. Gegic added that another wanted alleged fixer, Hristyian Ilievski, is also nearly ready to turn himself in. “He’s tired like I am,” Gegic told Gazzetta. Gegic added that lawyers advised not turning himself in when the case opened last year, and that he had travelled to and from Italy without problem over the past year and a half. The Serb was brought to a jail in Cremona, where prosecutor Roberto Di Martino’s match-fixing inquiry is based. More than 50 people have been arrested so far and more than 100 are under investigation. Gegic was allegedly a link between the match fixing ring’s base in Asia and Italian players. “In Singapore it’s possible to bet €15,000 on live Serie A matches. Every click is worth €15,000. In 20 minutes you can make a huge amount of money,” Gegic told the Gazzetta. “And the over odds rise if there are no goals. That’s why often in the phone taps it was asked to keep the score at 0-0 as long as possible. Gegic played for Vicenza in Italy from 1998-2000. He also played for some Turkish clubs, and was most recently with Chiasso in Switzerland from 2007-11. Don Garber,the commissioner of MLS, says David Beckham did everything the league asked of him to expand the sport in the United States during his 5½ seasons with the LA Galaxy. The 37-year-old former England captain plays his final competitive match for the Galaxy on Saturday in the MLS Cup against Houston. When Beckham left Real Madrid in 2007 to sign a $32.5 million, five-year deal with the Galaxy, Beckham said he wanted to win and increase the league’s popularity both domestically and abroad. On a personal level he eventually achieved his first aim, with the Galaxy winning last year’s title, and according to Garber, he has fulfilled his pledge to raise the profile of the sport on a local and global level. The league’s regular season attendance average increased from 15,504 in 2006 to 17,872 in 2011 to a record 18,807 this year. After Beckham’s arrival, the league announced expansion teams in San Jose (2008), Seattle (2009), Philadelphia (2010), Vancouver and Portland (2011), and Montreal (2012), increasing the total to 19. A number of high profile foreign players followed in Beckham’s footsteps, including Thierry Henry, Rafa Marquez, Robbie Keane and Tim Cahill. Although all of the overseas contingent, it should be noted, arrived in the United States with their careers on a downward trajectory. How much longer the US public will deem that strategy to be progressive, remains to be seen. Perhaps more critical to the league’s credibility would be the loss of Beckham’s Galaxy team-mate Landon Donovan. The 30-year-old midfielder, widely regarded as America’s finest homegrown player, admits he is unsure if he wants to play after this season. Stunning long range strike from Orlando Pirates’ Thabo Matlaba against Wits University. Asked if it was difficult to get used to a new manager, Chelsea goalkeeper Petr Cech says that the players can either like it or lump it. Wissam Ben Yedder is to appeal against his ban from all national teams until January 2014 for an unauthorised night out while on under-21 duty. The 22-year-old is the second of five players who spent a night at a Paris club to appeal after France midfielder Yann Mvila. “I have been considering about it for long and I have decided to appeal the ban,” Toulouse striker Ben Yedder told L’Equipe. “I am fully aware I was mistaken and I face it. But I want to save my chances to be called up by France, maybe sooner (than the ban’s end). The five players were summoned by French soccer officials after their curfew-breaking night out between the two legs of a European Under-21 qualifying tie against Norway. France lost 5-4 on aggregate. Mvila, who has 22 caps, was banned from all national teams until June 30, 2014 and has already filed an appeal against the sanction. The four others – Ben Yedder, Antoine Griezmann, Chris Mavinga and Mbaye Niang – were suspended until Dec. 31, 2013. I suppose if nothing else, French football can be pleased with one positive to emerge from this episode: at least a couple of the younger players have shown more enthusiasm for representing the national team than many of their senior colleagues. Barcelona legend Johan Cruyff believes the Catalans do not need Neymar as they already have plenty of attacking options. 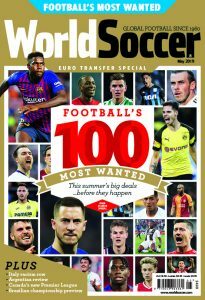 The Brazil international is one of the most sought after players in the world, and Barcelona are continually being linked with a move for the 20-year-old. Nevertheless, Cruyff feels that Barca would be wasting their money on attacking reinforcements as they already score plenty of goals. “The one department where Barcelona don’t lack anything is scoring goals. So if you ask me whether they need Neymar, I’m going to have to say ‘no’,” Cruyff told Catalunya Radio. It’s hard to disagree with that assessment, although for a number of years now, there has been no such thing as too may attacking options for Barcelona. Newly appointed Chelsea boss Rafa Benitez has refused to apologise to supporters whom he criticised following the less than-rapturous-welcome they offered him in Sunday’s Premier League draw against Manchester City. Supporter groups have suggested there will be no let up in tomorrow’s west London derby with Fulham in what promises to be the continuation of one of the more entertaining sideshows of the season. Indeed, as we enter panto season, Chelsea fans can play the baying crowd to Benitez’s villain, while Roman Abramovich plays the munificent Fairy Godfather, with John Terry and Frank Lampard perfectly cast as the Ugly Sisters who have seen better days. The chair of Chelsea Supporters’ Group said an apology would help win over some fans. “The strength of feeling surprised even those in charge,” said Trizia Fiorellino, chair. “It was quite venomous right at the beginning. “The fans don’t expect to pick and choose the managers but it was pretty evident there were only two people that were not acceptable in this case – Benitez and Avram Grant. Which, in all fairness, is a perfectly accurate description of the relationship between Roman Abramovich and the club’s fans. Benitez, who seems relatively unconcerned by the level of abuse coming his way, did question the accuracy of some of the quotes attributed to him. “The problem is we can analyse what I said and didn’t say,” he said. One comment that is believed to have upset Chelsea fans is Benitez’s praise of the passion of Liverpool fans, which included a swipe at that of Chelsea supporters. The quote is inscribed at the Reds’ Melwood training ground and pressed on whether he would apologise for it, Benitez said: “I was praising the fans of my club, my team. “But I’m here now, it’s my club, and I will do my best for them. “That’s my explanation, very easy and very simple. It was 20 years ago yesterday that Eric Cantona signed for Manchester United and, some would argue, transformed the face of English football. To mark the anniversary, the BBC have conducted a face-to-face interview with Cantona during which the Frenchman discusses his career at United, the state of English football and his role as director of football at the New York Cosmos. It is clear from the interview, though, that for all his achievements, Cantona is not a man who dwells on the past. “I played 45 times for France. We got two shirts every game. That’s 90 shirts. I don’t have even one. I don’t want to have these kind of things that keep me like a prisoner,” he said. 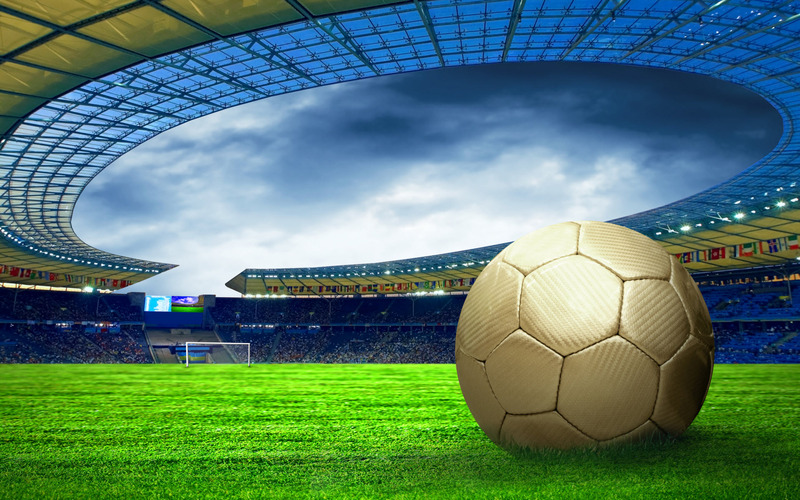 As for the Cosmos, who currently play in the second tier North American Soccer League, Cantona has high hopes that one day they will compete not only with the best in the US, but ultimately the world. Police have launched an investigation after a monkey gesture by a fan was apparently aimed at West Bromwich Albion striker Romelu Lukaku during Saturday’s English Premier League match at Sunderland. 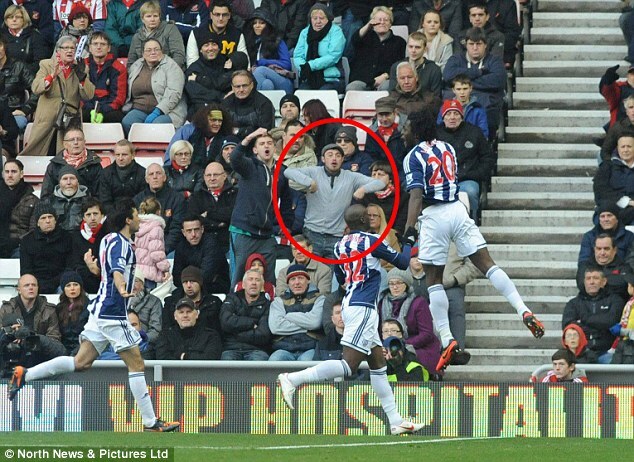 In pictures that emerged on Tuesday, a fan appeared to make a monkey gesture at the Belgium international, after he scored West Brom’s third goal in the 4-2 win. The case comes less than a month after a Chelsea fan was banned from Stamford Bridge for making a monkey gesture in a match against Manchester United. The alleged monkey gesture can be seen here.